The Franklin Mineral Museum and the Sterling Hill Mine & Museum are two of the most amazing rock museums in the world. Franklin, New Jersey, the "the fluorescent mineral capital of the world," has a rich history of mineral mining, particularly minerals of zinc and iron. 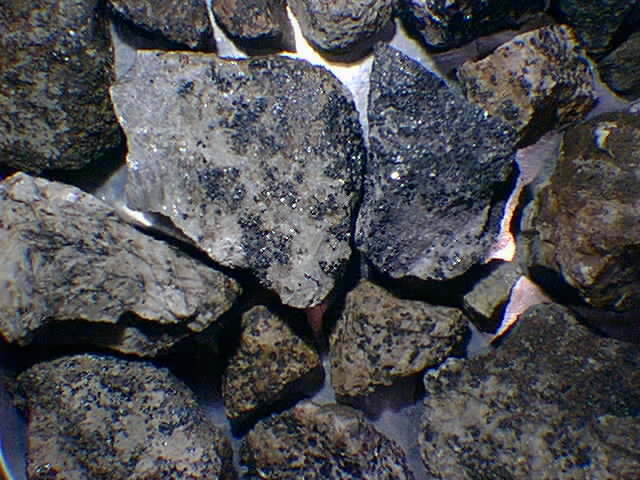 Rocks with blacklight (short-wave ultraviolet light) only. 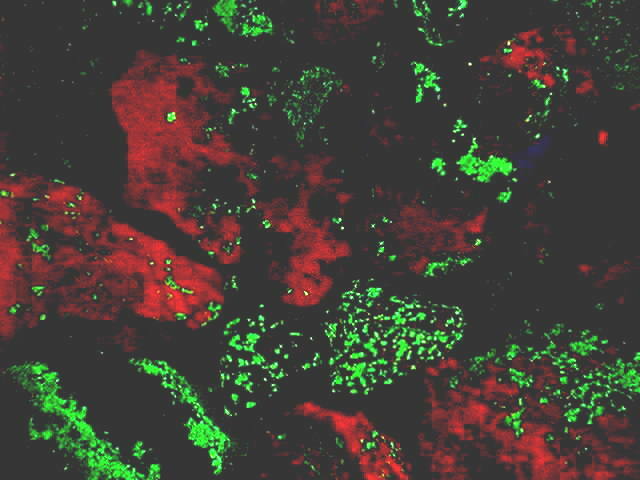 The fluorescent green is mostly willemite and franklinite with lesser amounts of zincite and sphalerite (which is phosphorescent); the orange is fluorescent calcite of the host marble. The mining towns of Franklin and Ogdensburg have a history as rich as the mines themselves. Iron mining began as early as 1772; it took many years to realize the potential for zinc mining in the area. The rocks around the Franklin area mines have yielded well over 300 different kinds of minerals. The ore deposit formed probably during late Precambrian time (about a billion years ago) when limestone beds were subjected to metal-bearing mineralizing fluids during a long period of deep burial and metamorphism in the region. The Franklin Mineral Museum (and Buckwheat Mine Dump) is on Evans Street in Franklin, New Jersey. The Sterling Hill Mine & Museum is nearby in Ogdensburg, New Jersey. Signs make both sites quite easy to find while driving north on NJ Route 23 from NYC. The museums are only open from late spring through early fall and some weekends. It is best to inquire first (especially groups!). Both require entrance fees. Sterling Hill Mine: phone (201)209-7212. Franklin Mineral Museum: phone (201)209-7212. Be sure to hit the "BACK" key to return to this website if you look at these web links.